Following Directions — I write a lot of directions on here. Read them carefully and follow ALL of them. If you don’t understand, ask for help. If you are interested in Spanish, you will be using Spanish 1 on the high school site. If you aren’t interested in Spanish, use the foreign languages link in the site menu for some ideas. The Spanish course moves quickly in the beginning because other students have already had two years of introductory Spanish. If you haven’t, take the time to learn the vocabulary! If you would like, you can start with the introductory Spanish courses by using the Spanish link in the course list on the right. We have a new live class where you can practice speaking each week. Go through the first column of words and click on the speaker icon to hear each word’s definition. Practice taking notes. Label it as Unit 1. Write each word and definition. You don’t need to write down everything it says. Write down what you need to so that you understand what it means. Read the introduction and chapter 1 of Grammar Land. *If you want to track your grade, you can print out grading sheets from Day 1 on this course page, English – 8. I will tell you when and how to add grades each time, but you don’t have to keep track of your grade. Read about subjects and verbs from the Grammar Book. Take the quiz. Pay attention to the grade you get on the quiz and record your grade on the grades sheet. Writing 9/10 would mean you got 9 right out of 10 questions. Play the subject and predicate review game. Go through the next column of words and click on the speaker icon to hear each word’s definition. Practice taking notes. Write each word and definition. You don’t need to write down everything it says. Write down what you need to so that you understand what it means. See the types of sentences. If you want more, here’s a lesson. Do you remember these words: browser, desktop, window, crash, loading, refresh, download, upload, virus, cookies, cache? If not, ask someone. All of the grammar worksheets are from the site. Sometimes I make a few changes and I made the answer sheets, but the worksheets come from the Georgia Virtual Learning Site that you are using. Write your assignment grades on the grading sheet. Read chapters 4 and 5. Note: Chapter 5: Maiden should be maidenly. Also, only before child (first line) should be an adjective. Do the preposition quiz. Make sure to read the directions! You can study from your notebook before you take the quiz, but you MUST put it away before you take the quiz. Cheaters get ZERO points for their quiz. Record your score. (It tells you at the top of the box how many there were and how many you got right.) Write the “type” as quizV1. Read about gerunds, participles and infinitives. Practice with a quiz. Scroll down to the “Exercise.” The answers are just under the exercise, so don’t scroll too far. Answer the questions then check your answers. Go through the first column of words and click on the speaker icon to hear each word’s definition. Practice taking notes. Label it as Unit 2. Write each word and definition. You don’t need to write down everything it says. Write down what you need to so that you understand what it means. 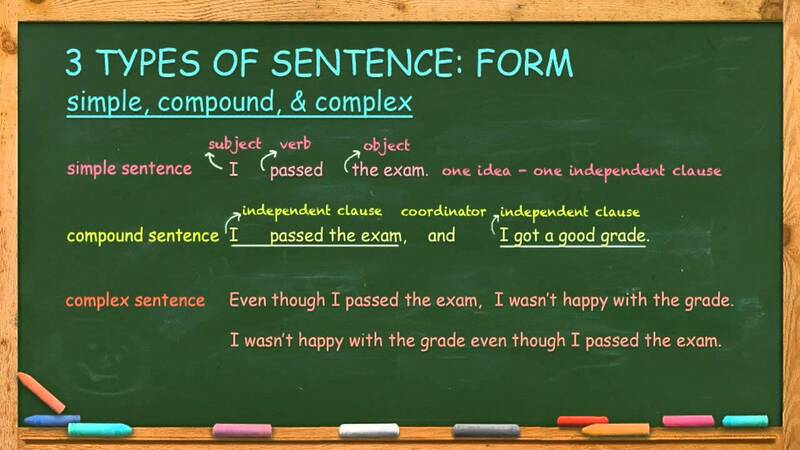 Write 4 sentences with a gerund phrase, 4 with participles, and 4 with an infinitive phrase. Somehow label what’s what. You can underline or circle or star or something and make a key showing what means what kind of phrase. Or type them and make each kind of phrase a different color. Take this quiz for practice. Review the info on the page if you need to. Internet safe search — When you want to find something on the internet, you have to be careful how you look for it. Here are some tips. Be as specific as possible in your search. Type as many words as you know that will help you find what you are looking for. That will help keep things you are not looking for from coming up. Also, Google has the best “safe search.” It does the best job of keeping inappropriate images from coming up that you would regret seeing. Once you see it, it’s hard to get out of your head. Turn on Safe Search if you haven’t already. Most search engines have a safe search feature. Unless it’s a search engine designed for children, I suspect the safe search doesn’t work that well. I have tested several well known search engines such as Yahoo, Bing and Ask.com and none of their safe searches protected against bad images. Google is the only one I’ve found that works. Take a quiz to identify subjects and verbs. You can put an X next to your lowest quiz and lowest assignment grade. That means that these scores will not be counted in your grade. We’ll let them just disappear. Remember not to add them in when you calculate your grade later. You won’t always be allowed to do this! So don’t count on it! I know right now you are getting used to grades. Draw a line across the page to show the end of a unit. Read chapters 10 and 11. Read about the writing process. Quiz yourself–list the steps of the writing process. Don’t peek. If you don’t get them all, look at it and try again to list them. You can study from your notebook before you take the quiz. You MUST put your notebook away before you begin. Put it far away if it is a temptation. Cheaters get ZERO points for their quiz. Record your score. Record the type as quizV2. Read about the types of writing. Just read, don’t fill in the blanks. Do this matching activity on types of writing and this quiz. Go through the first column of words and click on the speaker icon to hear each word’s definition. Practice taking notes. Label it as Unit 3. Write each word and definition. You don’t need to write down everything it says. Write down what you need to so that you understand what it means. Today write one of the paragraphs. Record a writing grade, out of 20. Write the other paragraph according to the directions on the worksheet from Day 11. Here are some tips for staying safe when you use the internet. Never sign up for anything online without permission. When a site asks for a username, you are not supposed to give your real name. Make up a pretend name for yourself. Never tell anyone online your real name, address, phone number or email address unless your parents tell you it is okay. Even if it’s a friend online, don’t give them information about yourself unless you have permission. Never agree to meet someone you met online unless your parents decided that your family will meet them altogether. Don’t become “friends” with people you don’t know. If you do, they will have access to more information about you. Always tell someone if you get weird or bad messages from someone. Read about fragments, run-ons and splices. If you think you need more practice before taking the quiz, you can do these online quizzes first — just for practice. There is one for comma splices and fused sentences and one for fragments. Take the quiz. You get a point for each question you answer correctly on the first try. Record the quiz score out of ten possible points. Study for your vocabulary quiz tomorrow. Make sure you know your words. Review anything you need to before tomorrow’s test. There are extra links on many of the pages. Record the grade. Record the type as quizV3. *Print out the bubble answer sheet. Take the test. Do just the first 29 questions. Check your answers at the end. We’ll let this be a practice test. You don’t have to record it. How did you do? If you got an A and want to include the grade on your grading sheet, you may. You should look over the ones you got wrong to learn from your mistakes. Put an X next to your lowest assignment grade and lowest quiz grade FOR THIS UNIT. Draw a line on your grading sheet to show the end of a unit. Read through your vocabulary notebook. Figure out how many pages a day you’ll need to read in order to be finished by Day 30. You have 15 “school” days. Think of an interesting story from your life. What was the setting, who were the characters, what was the situation, what was the climax, the resolution. You are not writing anything yet. You are just making notes. Internet security — There are different tools that are used for security on the internet. One is passwords. A password is a secret word that you use to let the computer or website know that you are you. The best passwords have letters and numbers in them. I use a really good password for important websites (that you don’t use–like for my bank information) but I use a silly password for websites where it is not important, like to play a game. Use only one or two passwords or you’ll forget which password you used where! So many places ask for passwords now. Choose passwords that are at least 6 letters/numbers long. Sometimes 8 is required. Another tool is software that protects your computer from viruses and adware. A computer virus is a command that sneaks into your computer and tells it to do something you don’t want it to do, like erase everything on your computer! Adware sneaks advertisers info onto your computer. You probably have anti-virus software on your computer. A free program is called Avast. Your computer should block ads that are called “pop ups.” Sometimes you’ll see a note that says a “pop up” was prevented from opening. This was a website trying to force their advertisement on you. Sometimes worse. Most of the time you don’t want to see the pop up that was blocked, but sometimes you need that pop up for whatever you are doing. If you want to see the pop up that was blocked, go and ask a parent if it is okay. Play a game to practice your vocabulary, Level E, units 1-3. Take a look at this part of an outline. Here’s another sample. Write a basic outline for your personal narrative, a story about yourself. You will need to finish your outline tomorrow. The more thorough your outline the easier it will be to write. Choose one of the games to play with your words. Finish your outline. You can write your intro and conclusion in your outline if you have finished the basic outline. Read the grading guidelines for the narrative essay you are going to write. You are going to want the best score in each category. Think about those things while you write. Retake the quiz of your worst vocab score from unit 1, unit 2 or unit 3. This is why I had you label the quizzes V1, V2, V3 for vocabulary units 1, 2 and 3 so that you could find them easily. Can you please remember to label your future vocab quizzes in this way? It will save you a lot of trouble when I try and help you out with a retest! If you got 100% on all of them, then no vocab for you today. Way to go! If you scored higher this time, then you may change the grade on your grading sheet. You have until day 25 to write and edit it. Use this peer editing checklist to help you edit (Peer Editing Checklist). Unit 4. Go through the first column of words and click on the speaker icon to hear each word’s definition. Practice taking notes. Write each word and definition. You don’t need to write down everything it says. Write down what you need to so that you understand what it means. Continue writing. Use your vocabulary words. Keep these in mind: Peer Editing Checklist and grading rubric. Unit 4. Go through the next column of words and click on the speaker icon to hear each word’s definition. Practice taking notes. Write each word and definition. You don’t need to write down everything it says. Write down what you need to so that you understand what it means. Continue writing. Keep these in mind: Peer Editing Checklist and grading rubric. Open a word processing document. Make columns. Make a fake newspaper page with headline and pictures. The text can be jibberish. You should be finishing or getting close to finishing your writing. Keep these in mind: Peer Editing Checklist and grading rubric. Finish writing. Make sure you are done on time and have it edited and ready to grade. Keep these in mind: Peer Editing Checklist and grading rubric. Complete your editing. Keep these in mind: Peer Editing Checklist and grading rubric. Give your essay an honest grade based on the grading rubric. You will use the second page. There are numbers above each column. If that column describes your essay, then that is how many points you get for that row. Add up all your points. Be sure your name and email address are NOT on your paper for privacy purposes. Read these directions carefully. You’re going to go to this site and enter the code FMJXRZ. Create an account with your email address and a password. Click on the day 25 personal narrative assignment. Move on to the “review” tab and review someone else’s essay. You must answer every question for the system to submit your essay for review. Editing other writing will help your writing. You can check back in to your account periodically to see if you’ve received feedback. *PLEASE NOTE* We will not be previewing submissions with this peer editing system. If your parent is concerned about that, have them read the essay you are reviewing before you read it. Inappropriate essays and comments can be flagged to be reviewed. You should receive a grade from the person who reviewed your essay. If you never receive feedback (be patient), then you’ll have to ask someone that you know to do it for you. They should use the grading rubric and score it out of 30. After you receive feedback, you may make revisions to your essay and give yourself another grade. The grade will be out of 30 points. You should list all of the grades (your first grade, your grade from the feedback, and your final revision grade) on your grading sheet. You should count all of these grades unless you really think the feedback you got was unfair. This way your writing assignment is worth much more (100 points) instead of just 30. That means that in your final grade, your writing assignments will count more than the little homeworks and quizzes. Label as Unit 5. Go through the first column of words and click on the speaker icon to hear each word’s definition. Practice taking notes. Write each word and definition. You don’t need to write down everything it says. Write down what you need to so that you understand what it means. Define: character, setting, climax, conflict, resolution. Unit 5. Go through the next column of words and click on the speaker icon to hear each word’s definition. Practice taking notes. Write each word and definition. You don’t need to write down everything it says. Write down what you need to so that you understand what it means. Record 5 points for completing the assignment. You can draw a line on your grading sheet to show the end of a unit. You are going to be using a spreadsheet this year. But before we begin I want to tell you about databases. Databases store and sort data, information. They are useful for things like names, addresses and phone numbers. You can add in new names at any time and then click on sort and choose to have them put in alphabetical order. Let’s say you have an address book in your database. First name, last name, address, phone number, etc. would all be fields in your database. When you want to find someone’s address, you would look up their record. A person’s record is all of the information in the database for that name. Draw or make some sort of diagram that shows that fields are contained in records are contained in databases. Study for your vocabulary quiz tomorrow. Make sure you know your words. This is the last time I’m going to remind you. Do you think you are in the habit? If you know you are going to be tested on something, it’s a good idea to study! Draw a plot diagram for The Three Little Pigs. Try it and then use the arrow keys to walk through the different parts and check your answer. You can make it full screen to aid in reading it. Write a paragraph about what you found to be the most inspiring part of the narrative you read. Look at these examples of irony. Here are more examples. *Complete this worksheet on verbal irony. Label as Unit 6. Go through the first column of words and click on the speaker icon to hear each word’s definition. Practice taking notes. Write each word and definition. You don’t need to write down everything it says. Write down what you need to so that you understand what it means. Read The Gift of the Magi. Unit 6. Go through the next column of words and click on the speaker icon to hear each word’s definition. Practice taking notes. Write each word and definition. You don’t need to write down everything it says. Write down what you need to so that you understand what it means. Read a bio of O’Henry, the author the story you just read. Read this guide to the story. This year you will be using a spreadsheet for computer. A spreadsheet is a tool for tracking numbers. If you don’t have Excel (Microsoft Office) or some other spreadsheet already, ask permission to download the Open Office version. Read the biography on Edgar Allen Poe. Watch this video on his life and works. Read the short story, The Cask of Amontillado edited Warning: This is the first 4 pages. You don’t want to read the gross ending. He kills his friend. He builds him a tomb out of bricks (masonry). Poe is very famous, but very dark. I don’t recommend any further reading of his works, but you should know who he is and the type of literature he wrote. Do you think his childhood influenced his writing? Read this page about Poe’s short story you read. Don’t read the top of the page. Scroll down to Setting and read from there. Write a friendly letter to Poe. Use the proper format. In your letter tell him what you think about him and his life and works. You should mention his use of irony. Give an example from the story and tell him how it affected the story, and you. Read through units 4-6 in your vocabulary notebook. Read this introduction to The Necklace. Just read what’s there. Don’t use any links. Read through the questions on the question sheet. Read the story (The Necklace) and answer the questions. What are some things wrong with her attitude shown in the 5th paragraph on the first page? Choose a character from The Necklace and write as if they were writing in a diary. Be sure to include their feelings about each of the items listed below. Do NOT send this in for peer editing. Open up a new document in your spreadsheet. Can you make it look like a title? Change the font size, color too if you like. What happens if you hit the center button? Normally, you would center a title, right? For now leave your title to the left. Play a game to practice your vocabulary, Level E, units 4-6. Play a game with your vocabulary words. Complete the study questions for The Ransom of Red Chief (Ransom of Red Chief Questions). You may take a retest for ONE of your vocabulary quizzes from the last three weeks: unit 4, unit 5 or unit 6. Record the best of the two scores on your grading sheet. Review The Gift of the Magi, by rereading this guide to the story. Complete the crossword and matching. Click on the key to see the answers. Label as Unit 7. Go through the first column of words and click on the speaker icon to hear each word’s definition. Practice taking notes. Write each word and definition. You don’t need to write down everything it says. Write down what you need to so that you understand what it means. Today start a project about a short story you have read. Write about the use of irony in one of the short stories you have read. What kind of irony is used, how is it used in the story, how does it affect the story and the reader’s experience of the story. Quote examples from the story. Or, you can do a project if you prefer not to write. Read through this grading rubric to make sure you will earn all of the possible points, if you are writing. (Read it “author’s use of irony” instead of “author’s voice.” Also, you are writing about the affect on the reader, not “personal growth.” Finally, for formatting, make sure you make a title, and write your name, date, and course name on your paper.) Use the grading rubrics on the projects page for projects. Unit 7. Go through the next column of words and click on the speaker icon to hear each word’s definition. Practice taking notes. Write each word and definition. You don’t need to write down everything it says. Write down what you need to so that you understand what it means. Continue to work on your short story project. Remember that you are to write about the use of irony in one of the short stories you have read. What kind of irony is used, how is it used in the story, how does it affect the story and the reader’s experience of the story. Read through this grading rubric to make sure you will earn all of the possible points (projects). (Read it “author’s use of irony” instead of “author’s voice.” Also, you are writing about the affect on the reader, not “personal growth.” Finally, for formatting, make sure you make a title, and write your name, date, and course name on your paper. Hit enter several times. What happens? This is the normal and easy way to move around. It’s made so you can enter a lot of figures at once. Since this is how it’s set up, we should label columns and not rows and write our data up and down. Make their font bigger. Underline them. Enter some data. Put some numbers in each category. Use the grading rubric (projects) to give your short story assignment an honest grade out of 100 points. *Print out the bubble answer sheet. Fill in numbers 30 to 62. Don’t start filling in at 1. Make sure your answer number match the question number. Take the test. Do numbers 30 to 62. You can draw a line to show the end of a unit. Portfolio/records: In your portfolio you should include one of your writing assignments from this quarter. You can also take a screen shot of one of the vocabulary quizzes. You can choose a page from the Grammar Land worksheets. Save one of your grammar assignments and one of your short story assignments (maybe for The Necklace).You could save any other assignment that’s different–like the irony assignment. Choose things that’s neat and well kept. NOTE! If you are turning your portfolio into the school district, keep a separate records binder for yourself at home. Include the best writing assignment and maybe one other assignment that you think highlights the course or your child. This is possibly for your high school college records. You will hold onto these records until your child is in college! You don’t want to save too much, but you want to have enough, just in case. You can also save things from your Spanish course. Take a screenshot. You can print out a pdf of your powerpoint if you made one. Divide those numbers. your score divided by total possible Move the decimal point over two places to the right. In the next box over, write the number in front of the decimal (something between 1 and 100). This is your percent grade. In the next box over write your letter grade. Anything starting with a 9 is an A. Anything starting with a 8 is a B. Anything starting with a 7 is a C and so forth. If you have everything perfect, then your grade is 100. That’s an A too. Draw a line across your grade report, or maybe print out a new sheet and start fresh for the new quarter. Read this biography of Shakespeare. Read about these drama terms. Read the introduction to the play. (*) Read this character list. (Tempest Characters) It might help you to print this out and keep it out while you read. *Print out the study guide (The Tempest Study Guide) and keep it next to you as you read. Before you read each act, read the questions. Answer them as you read. Label as Unit 8. Go through the first column of words and click on the speaker icon to hear each word’s definition. Practice taking notes. Write each word and definition. You don’t need to write down everything it says. Write down what you need to so that you understand what it means. Unit 8. Go through the next column of words and click on the speaker icon to hear each word’s definition. Practice taking notes. Write each word and definition. You don’t need to write down everything it says. Write down what you need to so that you understand what it means. What happens if you click on a box and start typing? What do you need to do to edit a box, not replace it? Now click on the top number of your column and drag down to the last number in your column. Let go. Close the parentheses and hit enter. Do it for your other column. How do you think you would find their difference? If you are stuck, try the No Fear Shakespeare site for help. Label as Unit 9. Go through the first column of words and click on the speaker icon to hear each word’s definition. Practice taking notes. Write each word and definition. You don’t need to write down everything it says. Write down what you need to so that you understand what it means. Unit 9. Go through the next column of words and click on the speaker icon to hear each word’s definition. Practice taking notes. Write each word and definition. You don’t need to write down everything it says. Write down what you need to so that you understand what it means. I left you with a trick question last time. Did you try and write =SUB()? It doesn’t work. You can’t subtract a range. You add negative numbers if they are going in the negative direction. If you just want to subtract two numbers, than just subtract them. Type = then click on the income total. Then type – and then click on the expense total. Now label your totals and your net worth. Do you need to move things around to do that? How can you? You are going to write about three characters from the play. Today choose your three characters. Write your 6-10 sentences about one of them. Make sure you include a quote from the play. After you write the quote, write (act number, scene number, line number). That tells the reader where to find the quote in the play. You are citing the quote. Use other examples from the play that you just tell about but not quote. On Day 54 you will write about the other two characters in the same fashion. For each paragraph, each character, say why you chose the character and include examples from the play including a quote that was properly cited–must be 6-10 sentences. Write 2 more paragraphs for your assignment. Make sure you include everything. Read through units 7, 8 and 9 in your vocabulary notebook. Play a game to practice your vocabulary. Read this BBC article for a quick review of the whole play. Last time I left you trying to label your totals. I can’t see your screen, so I can’t tell you just what to do. Can you make your screen look nice? Put a space between the title and the top of the columns. Put a couple of spaces between the columns. Put the first column in the B or C column. How can you do all that? You can copy and paste just like a word document. It looks a little different but it has the same effect. Now you can label Totals off the left of the row with totals. Then skip a row and put your Net worth. Make sure your study guide is complete. Take the quizzes: Quiz 1, practice quiz. Play a game with your vocabulary words, units 7-9. Read out loud in front of an audience Prospero’s soliloquy in the beginning of Act 5 starting at line 2054. A soliloquy is when the actor gives a speech with no one else on stage, basically talking to no one, or to himself. Write a newspaper. Read more below. Here is a grading rubric to consider. Get started today. You will have three more days to write your articles. Then you will have a day to edit them and a day to finish up. Here are some newspaper links if you want the help. You may take a retest for one of your last three vocabulary quizzes — unit 7, unit 8, unit 9. If you scored higher this time, you may change your grade for that quiz. If you got them all right the first time, DAY OFF, no vocabulary for you today. Label as Unit 10. Go through the first column of words and click on the speaker icon to hear each word’s definition. Practice taking notes. Write each word and definition. You don’t need to write down everything it says. Write down what you need to so that you understand what it means. What do you notice about the character names? The characters represent the names they are given. This book is an allegory. The whole book is a metaphor. It has a meaning beyond the setting, characters and plot. Each part of the story means something more than what’s before your eyes. There is a man named Christian. He is going on a journey. But the allegory, or metaphor, is that he represents someone who recognizes his sin and need for saving and seek’s God and salvation through Jesus Christ. Unit 10. Go through the next column of words and click on the speaker icon to hear each word’s definition. Practice taking notes. Write each word and definition. You don’t need to write down everything it says. Write down what you need to so that you understand what it means. Here is a map of the book’s setting. Work on your newspaper. All of your articles should be written. Now real income and expenses would be money, right? Click on the letter of the income column. It should highlight the whole column. Maybe you see a section called number or cell format. Maybe you see a dollar sign or the word “General.” If you see General, click on that drop down menu. Choose currency. Otherwise, look for a way to add a dollar sign (or something else) and two decimal points. Change the other column as well. Is your page looking better? Anything else need changing? Add a dollar sign to your net worth as well. After you are finished the book there will be a quiz and essay questions to answer. An essay question doesn’t mean you have to write a 5-paragraph essay for each question. It just means you will have to write out a long answer, as opposed to a multiple choice online quiz. Edit all of your stories. Include a quote in your Tempest article! Read these excerpts of different nonfiction writing: Night by Elie Wiesel, Life on the Mississippi by Mark Twain, Tuesdays with Morrie by Mitch Albom, “Letter from Birmingham Jail” by Martin Luther King, Jr.
Label as Unit 11. Go through the first column of words and click on the speaker icon to hear each word’s definition. Practice taking notes. Write each word and definition. You don’t need to write down everything it says. Write down what you need to so that you understand what it means. Read about writing a research report (it’s a lot). Final Draft should be in the MLA format. Here’s info on how to make a work’s cited page. Unit 11. Go through the next column of words and click on the speaker icon to hear each word’s definition. Practice taking notes. Write each word and definition. You don’t need to write down everything it says. Write down what you need to so that you understand what it means. Read about writing a thesis statement. This should be review! If you can, print the page see what it looks like. Or use print preview. Not impressive? Choose page layout if that is an option. Or at least choose page break layout to see where one page ends and the next begins. Use this to make your title in the center. Make your page look nice. You can print the gridlines or not. To print gridlines go to page layout and page setup. Look for “sheet.” Click on gridlines. If you do that, maybe you want to get rid of your title and write it in the header portion on the page view. Fool around and make it beautiful. Print or print preview. Today you will choose a topic for a research paper. A research paper is a long essay that you have done a lot of research for. Your essay will need to be four pages long (plus the works cited page) so make sure you gather enough information! The paper will need to be double spaced and in MLA format. You will write (roughly) 8 paragraphs. If you have trouble thinking of what to write about you can choose a topic from this list, then narrow it down into a thesis. Your essay can be about anything you’ve read this year. On day 16 you began reading an autobiography. You can write about something in the book you read. You’ve also been reading Pilgrim’s Progress; you could write about that. The possibilities are endless! Narrowing your topic will be the hard part. Here’s a page on that (you should remember this). On day 83 you will send your paper in for peer editing so make sure you work hard on it! You will be using this rubric (just the first page). Notice you need more than 5 non-internet sites for full points in the ‘Bibliography’ category. That’s where lots of research comes in handy (remember: Wikipedia is not a good source)! Good places to look for information on books online are spark notes and cliff notes. What are some questions you should ask when evaluating a source? Begin your research. Make sure to take careful notes. You need to know where each piece of information came from. I like to list my resources on one piece of paper. I number them as I add them to the list. Then on my note card I can just write the number 1 in the corner and I know where it came from. Write down web addresses and titles of web sites and pages. DON’T COPY ANYTHING. Just use a word or two to write down the info. If you want to quote something, copy it exactly and write it in quotes. Make sure you can tell exactly where it came from. Continue your research. Work for at least twenty minutes. Look for specific examples to support your thesis. Look for quotes that would support your thesis. You are aiming at writing four pages. You need information, examples and quotes. Gather them! Label as Unit 12. Go through the first column of words and click on the speaker icon to hear each word’s definition. Practice taking notes. Write each word and definition. You don’t need to write down everything it says. Write down what you need to so that you understand what it means. Read the summary and analysis of section 5. Continue your research. Work for at least twenty minutes. Look for specific examples to support your thesis. Look for quotes that would support your thesis. Unit 12. Go through the next column of words and click on the speaker icon to hear each word’s definition. Practice taking notes. Write each word and definition. You don’t need to write down everything it says. Write down what you need to so that you understand what it means. Remind yourself about writing an outline. Start your outline by typing in your thesis and labeling the intro and conclusion. I’m going to leave you to the tutorials. Do one video or one section a day. These are for Excel. If you are using something else, you’ll have to do a little more figuring out for yourself. Even with Excel everyone has different editions of it. Persevere. Use the tutorials and then try and imitate what they do with your program/version. Organize your notes into categories. Can your group them? These will be your paragraphs. Type your notes into an outline. The Roman numerals will be the topic sentence/or main point of each paragraph. The alphabet letters will be your details that support the main point. (Optional) Read the summary and analysis of section Vanity Fair. Finish your outline. Add to it as much detail as you can. This will make your writing easier. Write your introduction. Start with an attention grabber and finish with your thesis statement. (Optional) Read the summary and analysis of section Doubting Castle. Start writing. Aim to write at least two paragraphs each day, good length paragraphs. Read through units 10 through 12 in your vocabulary notebook. Work on your rough draft. Here is the grading rubric you will be using (page 1). Practice your vocabulary words, units 10-12, level E.
(Optional) Read the summary and analysis of section Delectable Mountains. Maybe your parents would let you keep a budget on the computer for them and keep track of income and expenses. Work on your rough draft. Play a game with your vocabulary words, units 10-12. Look at this page about how to format long or short quotes. You may retake one of the last three vocabulary quizzes–unit 10, unit 11, unit 12–and change your grade to the higher score. (Optional) Read the summary and analysis of book 2 section 1. (alternate link) For the second book none of the websites agree on how many places to split it up. Today make sure you format your paper correctly and write your works cited page. Take a look at this sample paper. Portfolio/records: In your portfolio you should include one of your Shakespeare writing assignments from this quarter. You can also take a screen shot of one of the vocabulary activities. NOTE! If you are turning your portfolio into the school district, keep a separate records binder for yourself at home. Include the best writing assignment and maybe one other assignment that you think highlights the course or your child. This is possibly for your high school college records. You will hold onto these records until your child is in college! You don’t want to save too much, but you want to have enough, just in case. You’ll want to save something from each course you are taking. Report Card (only if you are tracking grades): Time for a quarterly grade to check on how you are doing. Do you remember how it goes? Add up all the grades FROM THIS QUARTER. Add up the top numbers (your scores) and write that number down. Add up the bottom numbers (the total possible points) and write that number down. Divide those numbers. your score divided by total possible. Move the decimal point over two places to the right. In the next box over, write the number in front of the decimal (something between 1 and 100). This is your percent grade. In the next box over write your letter grade. Anything starting with a 9 is an A. Anything starting with a 8 is a B. Anything starting with a 7 is a C and so forth. If you have everything perfect, then your grade is 100. That’s an A too. Draw a line across your grade report, or print out a new sheet and start fresh for the new quarter. Don’t lose your first quarter grades! You will need them. Label as Unit 13. Go through the first column of words and click on the speaker icon to hear each word’s definition. Practice taking notes. Write each word and definition. You don’t need to write down everything it says. Write down what you need to so that you understand what it means. Start editing your research paper. Read it over and check for flow. Fix your transitions. Use the notes alongside the two samples to help you think through what you need to do. Unit 13. Go through the next column of words and click on the speaker icon to hear each word’s definition. Practice taking notes. Write each word and definition. You don’t need to write down everything it says. Write down what you need to so that you understand what it means. Keep editing your research paper. Use the samples to help you make yours better. You can also refer to this grading rubric, though yours will NOT include a title page. That category can be for the proper format on your first page. I know it might seem silly to put your name, etc. on the paper, you are practicing for the future. And practicing following directions! Finish your research paper. Make sure that everything looks great and is in the right format. Give yourself an honest grade for your paper using the first page of this grading rubric. The first category, remember, is for proper formatting of your first page. The scores go across the top 4 for the first column, 3 for the next, 2, 1, and 0 for the last column. Add 20 points if you completed the assignment on time. Click on the day 83 research paper assignment. Move on to the “review” tab and review someone else’s paper. You must answer every question for the system to submit your paper for review. Editing other writing will help your writing. You can check back in to your account periodically to see if you’ve received feedback. *PLEASE NOTE* We have no way of viewing submissions with this peer editing system. If your parent is concerned about that, have them read the paper you are reviewing before you read it. Inappropriate papers and comments can be flagged to be reviewed. Give yourself a new grade. Find the average of the new grade you gave yourself and your feedback grade. Add that grade to your grading sheet by your first grade for the assignment. Complete the crossword puzzle. Click on the key to see the answer. Do the first 10 questions on this writing test. Label as Unit 14. Go through the first column of words and click on the speaker icon to hear each word’s definition. Practice taking notes. Write each word and definition. You don’t need to write down everything it says. Write down what you need to so that you understand what it means. Do the last 10 questions on this writing test. Unit 14. Go through the next column of words and click on the speaker icon to hear each word’s definition. Practice taking notes. Write each word and definition. You don’t need to write down everything it says. Write down what you need to so that you understand what it means. Here’s more help with capitals if you want it. Are you studying for your quiz each week? Make sure you know your words. Read this page of notes on the book. (alternate) Make sure you read through the vocabulary; it will help you understand better. Read some more on commas if you want the help. Take the quiz. Read the directions! You can use the hint button up to 10 times. I’m trusting you. Here is an audio version if you would like to use it. Here are chapter summaries if you ever feel in need of them. They are very short. If you think you might not get it, read more. *Print out this worksheet (Quotation Marks Assignment) and add in quotation marks and fix any capitalization or punctuation necessary. Record your grade out of 10. Label as Unit 15. Go through the first column of words and click on the speaker icon to hear each word’s definition. Practice taking notes. Write each word and definition. You don’t need to write down everything it says. Write down what you need to so that you understand what it means. Read chapters 3 and 4. Remember that there are chapter summaries that you could read before each chapter. There also is an audio version if you want to use it. Do this crossword puzzle to review your grammar terms. Unit 15. Go through the next column of words and click on the speaker icon to hear each word’s definition. Practice taking notes. Write each word and definition. You don’t need to write down everything it says. Write down what you need to so that you understand what it means. Warning: there will be a quiz at the end of the book. Scroll down to the literary/historic information and genre sections and read those. What have you seen so far in the novel that shows it is of the science fiction genre? Give examples. How does remembering the time it was written important? Write a paragraph to answer the questions. Take the quotation mark quiz. Submit your answers when you are finished and go back and check any wrong answers to see what the correct answers were. Write a 1o-line dialog between two people. That means each person speaks five times. Give yourself 1 point for each time someone speaks, up to 10 points. Make sure the punctuation is correct though! Put an X next to the two lowest scores from THIS unit. Draw a line showing the end of the unit. Read over the vocabulary from units 13, 14 and 15. Read more about descriptive writing. Skim what you already know. 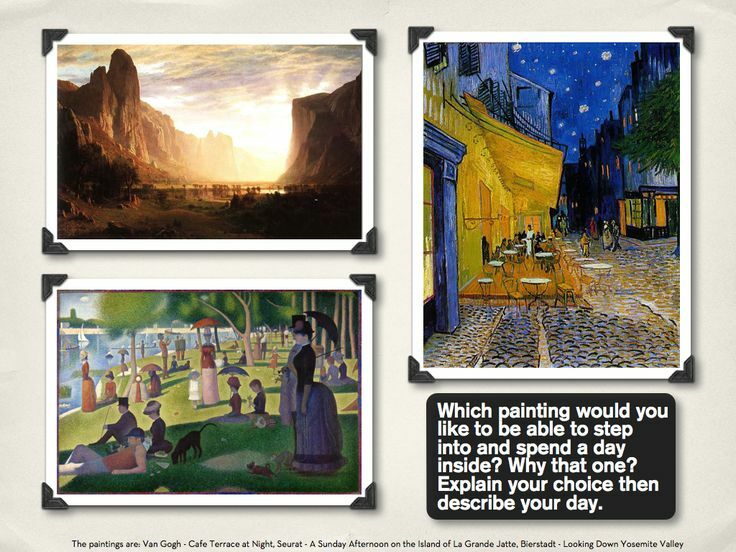 Play a game to practice your vocabulary, units 13-15, level E.
Describe a painting. Write a WHOLE typed page double spaced, or a half of a page single spaced. Here are some options. Read similes, metaphors and cliches. Skim what you know. Write 5 similes or metaphors. Write an example of each type of figurative language listed on this page (but DO NOT use the examples on the page). Write the term and the example. Play a game with your vocabulary words, units 13-15. Play scatter and any of the other activities along the top if you didn’t know them all the first time. Read the “model descriptive paragraphs.” The link is in the sidebar. You may retake one of the following vocabulary quizzes: unit 13, unit 14, unit 15, and you may change the score if you did better this time. Choose a writing prompt and write a descriptive essay. Here’s a help: sensory words. Here’s your rubric. Look at it so you know what to include! You don’t have to submit this for peer editing. You need to write this today and tomorrow. Finish and edit your descriptive essay. Give yourself an honest grade using the rubric. Review: play a game with your words, units 10-12. Draw a line on your grading sheet showing the end of a unit. Review: play a game to practice, units 4-6, level E.
Read about fact and opinion. *Complete the quick fact and opinion assignment. (Fact VS Opinion Assignment) Make sure you read the directions carefully. Review: play a game, units 7-9. Look at the first example of an expository essay, one that explains a process. Choose a how-to topic and begin writing an expository essay. Label as Unit 1. Go through the first column of words and click on the speaker icon to hear each word’s definition. Practice taking notes. Write each word and definition. You don’t need to write down everything it says. Write down what you need to so that you understand what it means. Read your essay to an audience. Unit 1. Go through the next column of words and click on the speaker icon to hear each word’s definition. Practice taking notes. Write each word and definition. You don’t need to write down everything it says. Write down what you need to so that you understand what it means. Unit 1. Go through the next column of words and click on the speaker icon to hear each word’s definition. Practice taking notes. Write each word and definition. You don’t need to write down everything it says. Write down what you need to so that you understand what it means. You are practicing note taking, not just vocabulary. Work on the advertisement project. Today try and write the paragraph and verbal ad. This paragraph should discuss the product name, its purpose, its appearance, and why it will be helpful to the public. It can be a product that is geared for the general public, or a specific group. Your paragraph should be at least ten sentences. Today make the print/picture part of your ad. Don’t forget the jingle or catch phrase. I’ll give you one more day to finish everything. You can design an ad in Word, Paint, PowerPoint, or you can design one by hand and scan it into the computer as a picture. Label as Unit 2. Go through the first column of words and click on the speaker icon to hear each word’s definition. Practice taking notes. Write each word and definition. You don’t need to write down everything it says. Write down what you need to so that you understand what it means. Do the fact and opinion worksheet (check your answers using the “View answer sheet” button) and the fact and opinion game. Unit 2. Go through the next column of words and click on the speaker icon to hear each word’s definition. Practice taking notes. Write each word and definition. You don’t need to write down everything it says. Write down what you need to so that you understand what it means. How does the second half of the book shape Nemo’s character? What do you think of the character of Nemo at this point? Why? Give specific answers. Take the quiz about the book. Check your answers and record your score. Unit 2. Go through the next column of words and click on the speaker icon to hear each word’s definition. Practice taking notes. Write each word and definition. You don’t need to write down everything it says. Write down what you need to so that you understand what it means.You are practicing note taking, not just vocabulary. Choose one essay topic. Write a five paragraph essay on the topic. Include at least two examples from the novel. Include one quote. You can look at the rubric on day 115. You have three days, but not a lot else to work on. Choose your topic. Decide on your outline: thesis, 3 main supporting points each with an example or quote, conclusion. Gather your examples and quote today. Record what page they come from. Make sure your quote is followed by a citation (Verne, 174). That tells the author and what page the quote is from. We hopefully know from your essay what book you are talking about! Work on your essay. Today you should write it or most of it. Read the introduction to Greek mythology. You are going to start an assignment. Follow my directions below. You are to make a 10-slide presentation. Check out the grading rubric listed on Day 115. First slide is a title slide. Eight slides, one for each of eight mythical gods and goddesses that you choose, will follow. These will have a picture, the name, and the main thing this person is associated with. If you can find the symbol associated with them, add it. I’m not expecting “real writing” for this. This is just to help you understand literature since these are mentioned throughout all types of literature. The last slide is your “works cited” slide. You must list where you got your information from. You can work on this today and tomorrow. If you don’t have Power Point. Open Office has a free version of it. Or you could present the project in a different manner. Finish your essay. Edit your essay! Finish your power point presentation. Give your project an honest grade. Label as Unit 3. Go through the first column of words and click on the speaker icon to hear each word’s definition. Practice taking notes. Write each word and definition. You don’t need to write down everything it says. Write down what you need to so that you understand what it means. You are practicing note taking, not just vocabulary. Read about our calendar names. Read about why we have seasons, according to the myth. Write each answer in complete sentence. Read about Daedalus and Icarus. Write as a paragraph a summary of the myth (50-100 words) and a lesson it teaches. Unit 3. Go through the next column of words and click on the speaker icon to hear each word’s definition. Practice taking notes. Write each word and definition. You don’t need to write down everything it says. Write down what you need to so that you understand what it means. You are practicing note taking, not just vocabulary. Here are two more reading. Write a paragraph explaining the Trojan War and what you know of Odysseus what will happen after the war. Watch the introduction to The Odyssey. Read this brief intro as well. Something to keep in mind as you read this: The summaries and some quizzes will refer to characters by the Greek version of their name (for example: Odysseus). The reading/book will refer to characters by the Roman version of their name (for example: Ulysses). It will be helpful if you make note of these names as you go along. (Here’s a list of the Greek/Roman names of some of the gods that will be seen in The Odyssey. *Please print out pages 4-11, just the study questions. Before you read each chapter (they are called “books”), read the summary and the questions on this sheet. Fill in the answers right on the sheet as you read. You don’t have to answer in complete sentences. Answer them like you are taking notes. You can just write O for Odysseus, for example. Read this summary of book 1. Read the summary and questions on your print out for book 1. Read book 1. (audio) For those of you who want to download it. If you look for another version, look for the one translated by Samuel Butler. Answer the questions WHILE you read. Read this summary of book 2. Read the summary and questions on your print out for book 2. Read this summary of book 3. Read the summary and questions on your print out for book 3. Read this summary of book 4. Read the summary and questions on your print out for book 4. Read this summary of book 5. Read the summary and questions on your print out for book 5. Read this summary of book 6. Read the summary and questions on your print out for book 6. Portfolio/records: In your portfolio you should include two of your writing assignments from this quarter. One can be short one; one can be one of your bigger projects. You can also include screen shots. NOTE! If you are turning your portfolio into the school district, keep a separate records binder for yourself at home. Include the best writing assignment and maybe one other assignment that you think highlights the course or your child. This is possibly for your high school college records. You will hold onto these records until your child is in college! You don’t want to save too much, but you want to have enough, just in case. Read through your vocabulary notes for the last three units: 1, 2 and 3. Read this summary of book 7. Read the summary and questions on your print out for book 7. Read this summary of book 8. Read the summary and questions on your print out for book 8. Play a game to practice your words, level F, units 1-3. Read this summary of book 9. Read the summary and questions on your print out for book 9. Read this summary of book 10. Read this summary of book 11. Read the summary and questions on your print out for book 11. Read this summary of book 12. Read the summary and questions on your print out for book 12. Write a letter from Odysseus to Penelope. Include parts of the story as you tell her what has happened to you. Use the link to make sure you write the letter in the appropriate format. The directions say that it should be one page long, but remember that it is assumed your writing is double spaced. Play a game with your vocabulary words, units 1-3 (level F). Read this summary of book 13. Read the summary and questions on your print out for book 13. Read this summary of book 14. Read the summary and questions on your print out for book 14. If you got them all right the first time, no vocab assignment for you today. Way to go! Read this summary of book 15. Read the summary and questions on your print out for book 15. Read this summary of book 16. Read the summary and questions on your print out for book 16. Label as Unit 4. Go through the first column of words and click on the speaker icon to hear each word’s definition. Practice taking notes. Write each word and definition. You don’t need to write down everything it says. Write down what you need to so that you understand what it means. You are practicing note taking, not just vocabulary. Read this summary of book 17. Read the summary and questions on your print out for book 17. Read this summary of book 18. Read the summary and questions on your print out for book 18. Unit 4. Go through the next column of words and click on the speaker icon to hear each word’s definition. Practice taking notes. Write each word and definition. You don’t need to write down everything it says. Write down what you need to so that you understand what it means. You are practicing note taking, not just vocabulary. Read this summary of book 19. Read the summary and questions on your print out for book 19. Read this summary of book 20. Read the summary and questions on your print out for book 20. Read this summary of book 21. Read the summary and questions on your print out for book 21. Read this summary of book 22. Read the summary and questions on your print out for book 22. Read this summary of book 23. Read the summary and questions on your print out for book 23. Read this summary of book 24. Read the summary and questions on your print out for book 24. Complete these matching activities to help you review for the test. You can also read through the study guide or the chapter summaries to help refresh your memory. Draw a line showing the end of a unit. Label as Unit 5. Go through the first half of the words and click on the speaker icon to hear each word’s definition. Practice taking notes. Write each word and definition. You don’t need to write down everything it says. Write down what you need to so that you understand what it means. “The Hero’s Journey” refers to patterns or events common in many myths and stories. Look at this explanation of the different stages/patterns of a Hero’s Journey. For each stage/pattern, describe how that applied to part of Odysseus’ journey. You should find at least 10. Unit 5. Go through the second half of the words and click on the speaker icon to hear each word’s definition. Practice taking notes. Write each word and definition. You don’t need to write down everything it says. Write down what you need to so that you understand what it means. You are practicing note taking, not just vocabulary. Tell someone what happened in your game. You have ten minutes to write answer one of the following essay questions. Start the timer when you are ready. Your answer should be a complete paragraph. Your introduction should tell what you are going to be discussing in an interesting way. You should have several supporting sentences with examples from the book. Your conclusion should wrap up your point. Discuss the characters’ attitudes toward strangers, including beggars and those visiting their home. How do they compare to Christian beliefs? What is the relationship of humans and gods in this story? How does it compare to Christian beliefs? Take the test. Do questions 63 to 95. Label as Unit 6. Go through the first column of words and click on the speaker icon to hear each word’s definition. Practice taking notes. Write each word and definition. You don’t need to write down everything it says. Write down what you need to so that you understand what it means. You are practicing note taking, not just vocabulary. Read about poetry. Skim what you know. Scroll past the first list to where it lists them again with their definitions and examples. Take this ungraded quiz. Read the notes after each question, especially if you got it wrong. Unit 6. Go through the next column of words and click on the speaker icon to hear each word’s definition. Practice taking notes. Write each word and definition. You don’t need to write down everything it says. Write down what you need to so that you understand what it means. You are practicing note taking, not just vocabulary. You can use the internet to look these up. Read this poem done by a high school student. Identify the rhyme and rhythm. Write two different types of poems using two types you learned about in this poetry unit so far. The next section is on Edgar Allen Poe again. Remember him? Dark and creepy? I’m not a fan, so the good news is you don’t have to read the next two poems. However, the one has a neat site to help you practice a few literary devices: alliteration, assonance and internal rhyme. Flip through the beginning of the poem, The Raven, until you feel like you know what each is and that you can find each type within the poem. Now read the poem: To Helen. Watch these two videos on Emily Dickinson. Now read about Emily Dickinson. Answer the questions for thought. Read through your vocabulary notebook and review units 4, 5 and 6. Analyze two of her poems and write what poetic devices you find in them. Use the poetic devices handout from Day 139. Here are some Emily Dickinson poems. Read about the connection between poetry and hymns. Read about poetry and the blues. Watch the video only if you want to. You should be familiar with these words: lyrics, stanza (the paragraphs of poems), rhyme, repetition, refrain. The refrain of a song is its chorus, the part you sing over and over again. Don’t watch the video. It’s not part of the lesson. Go through this song/poetry analysis. Just click the arrow to go on when it says, “The Song” and shows the video. Just move on without watching the video. It will take you to the lyrics next. Take a song and find poetic devices in it. Read about writing a compare and contrast essay. Here’s more about these types of essays. This isn’t necessary, but if you really wanted more info on this, here’s an article. Also take a look at these different types of outlines, or ways to structure the essay. You can also check out this compare and contrast sample. Play a game with your vocabulary words, units 4-6, level F.
Play Scatter more than once. The words change. Play another poetry term review game. You may take a retest of one of the last three quizzes and change your grade to the higher score: unit 4, unit 5, unit 6. If you got them all right the first time, you have no assignment. Way to go! You will write an essay comparing and contrasting two poems. You can use the ones given or find two others. You can use songs, but you can’t use Psalms because they aren’t in the original language, so they’ve lost the “sound” of the language. The rubric is at the end of the page. Read over the requirements! Think about different aspects of poetry. Today choose your poems and use the aspects of poetry to help you analyze each poem. Take notes on each poem. This assignment is due on Day 149. Label as Unit 7. Go through the first column of words and click on the speaker icon to hear each word’s definition. Practice taking notes. Write each word and definition. You don’t need to write down everything it says. Write down what you need to so that you understand what it means. You are practicing note taking, not just vocabulary. Write your outline today. Remember how long your paragraphs have to be and how many paragraphs are needed. Make sure you read the directions carefully and that your outline matches what you need. You can begin writing your essay if you are ready. Unit 7. Go through the next column of words and click on the speaker icon to hear each word’s definition. Practice taking notes. Write each word and definition. You don’t need to write down everything it says. Write down what you need to so that you understand what it means. You are practicing note taking, not just vocabulary. Quote the poetry in your essay to show the poetic devices. Here’s a webpage describing how to properly quote and cite poetry. Finish writing your essay. If you have time, begin editing it. Read over the rubric and make sure you have everything necessary. Make sure you cite quotations. Read it out loud to look for mistakes. Edit it as necessary. Make it perfect. When you are ready, give it a grade or ask someone to grade it by the rubric at the bottom of the page. Draw a line for the end of the unit. Read this writing prompt and the checklist. Write for 20 minutes. Go! Read the short intro on Oscar Wilde. Just read “Who was Oscar Wilde?” at the top of the page. Make family trees (on one page, side by side) that include John, Cecily, Gwendolyn, Algernon and Lady Brackwell. List some things that you know of the setting (when and where). If you want to download the play to read, here is the link. Here is the audio for future reference for anyone who wants it. BUT you must read along and read all of the stage notes, the things the author wrote but the actors don’t say. Read pages 11 to 24. Read pages 24 to 34. Write a paragraph about the plot development. Write a description of Jack, Algernon, Gwendolyn and lady Bracknell. Read pages 34 to the end of Act 1 when the curtain drops. Read the summary and analysis. Explain to someone the plot of the play. Read the beginning of Act II up until page 65. Read the analysis of the play’s literary devices. Read from page 65 until page 80. Write another paragraph about plot development. Who else is Earnest? Write a description of Cecily, Miss Prism, Merriman, and Chasuble. Read from page 80 until the end of the act. Read the summary of act II. Tell someone how you think it will end. Read the beginning of Act III until the end of the play. Go back to your family trees and fix them up. How are they related? Read the summary of act III. Take a look at the themes. Read through your vocabulary notes for units 7 and 8 and 9. Take the quiz. Can you do it? Choose one question to answer. Develop the answer as a complete paragraph. It should have examples from the book (doesn’t have to be quoted). It should have at least 8 sentences. Play a game to practice your words, units 7-9, level F.
Read this short, one act play, We’re Not Ready. This was written by someone I know. I want to give you an example of a short play because you are going to be writing one. I don’t expect Shakespeare. You are certainly able to write something like this play, though. If you like, watch The Importance of Being Earnest. You can just watch this segment or watch the whole thing. The link to the next part will be in the top corner at the end of this section. Now we are going to learn about writing plays. Then, the format. And read this second page on format. You will also add a page with a list of characters after your title page. You will list the characters’ names and a short description telling us who each person is. What’s different about writing a play? You are writing it to be seen and heard, not read. Think about what your play is going to be about. You need characters, setting and the basic plot (the crisis and the outcome or resolution). Play a game with your vocabulary words, units 7-9, level F.
Just for fun quiz to refresh your memory of theater terms. Write out descriptions of your main characters, even draw pictures. The more detailed the description of who they really are the better your story will be and the easier to know what that character would say and do. Write a description of your settings, even draw pictures. In a play they can’t move around as much as in a novel. Each scene has to take place in one place. The scenes can change though. Can you write your plot in one sentence? Do you know where you begin? what happens to set things off? and how it will resolve? You can retake one of the last three vocabulary quizzes and give yourself the higher grade: unit 7, unit 8, unit 9. You have until Day 179 to write your play. Here is the rubric you will be graded on. You do NOT need to have an Act II, but you could have an Act II. Try and write for at least a half an hour a day. Don’t forget that you need time to edit. Read your play out loud from time to time by yourself or, even better, with others to see how it sounds. Read this guide to help you get started. Work on your play every day. Don’t forget to use links on Day 165. It is due on Day 179. Play a game to practice, level E, units 10-12. This will be your last day. Keep working on your project. Use your spreadsheet to help you and your family stay organized. Play a game for review, units 1-3, level E.
Play a game to practice your words, units 13-15, level E.
Don’t forget to have a cover page and character list page. You can see these on the “We’re Not Ready” play. Use the rubric to give yourself a grade. (You do not need an Act II. You can grade on whether the problem gets worse before it gets better.) Notice that the plot is worth 8 points. Then it says 2 points by “good.” There are four things listed under plot. You score each one separately: 2, 1, or 0. You will score the total out of 50 points. Have someone else grade your play as well. Do a reading of your play (in front of an audience) or gather your family and give everyone a copy and have everyone read a role. *Print out a bubble answer sheet. Take your final exam. Do numbers 1-55. 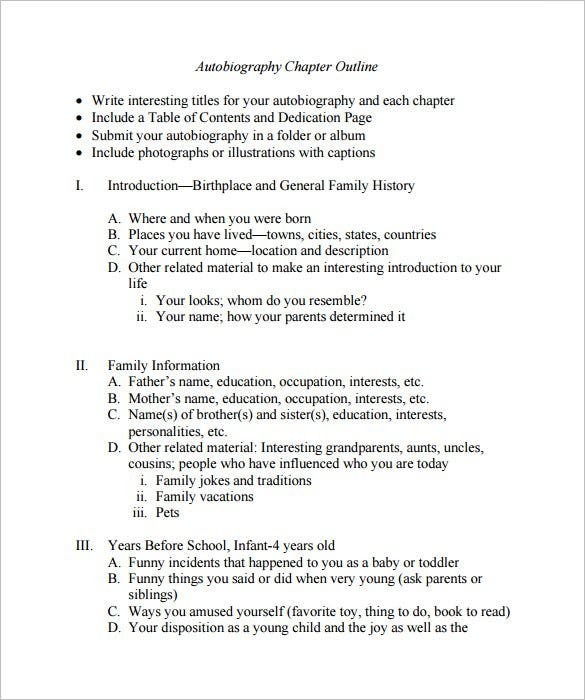 Portfolio/records: In your portfolio you should include a writing assignment and one of your poetic devices worksheets. You can also include your play. You can also include screen shots. NOTE! If you are turning your portfolio into the school district, keep a separate records binder for yourself at home. Include the best writing assignment and maybe one other assignment that you think highlights the course or your child. This is possibly for your high school college records. You will hold onto these records until your child is in college! You don’t want to save too much, but you want to have enough, just in case. Add a new line on your grading sheet. At the beginning of the line write, “FOURTH QUARTER GRADE.” Next to it somewhere in another block write your two totals (your total score/total possible). Now for your FINAL GRADE: Add up the “your score” portion of your grade from each quarter. Add up the “total score” portion of your grade from each quarter. Divide as above and find your numeric and letter grade. RECORD it all. Save, print, store for your records. Hi, could this whole 8th level be used for 9th level as well, or is it better to use the high school level for 9th grade?